When it comes to my hair I am more than a little bit precious. I’ve had long hair, short hair, blonde hair, brown hair…and yet, no matter what the style or shade, the most important thing is keeping it as healthy as possible. However it wasn’t always like that for me. I had beautiful long hair when I was in my late teens, and my style of choice was poker straight hair – which I achieved by over straightening it. This is all well and good until no protective sprays or hair TLC means that the ends actually go white because they are so dry and brittle..which isn’t a good look on anyone, especially a natural brunette. My friends started commenting on how awful the ends looked – that’s when you know that it’s bad – when someone else notices your horrifically and depressingly split ends. When I did go to the hairdresser I had to have so much cut off, that it gave me a kick up the backside when it came to hair care and ever since then I’ve made sure to invest that little bit of TLC that my hair needs. However, the joys of my hair means that it’s thin. REALLY thin. There’s a lot of it, but it’s fine and it’s a nightmare to do much with. In fact, it’s so thin I have to wash it daily because it just goes greasy otherwise. 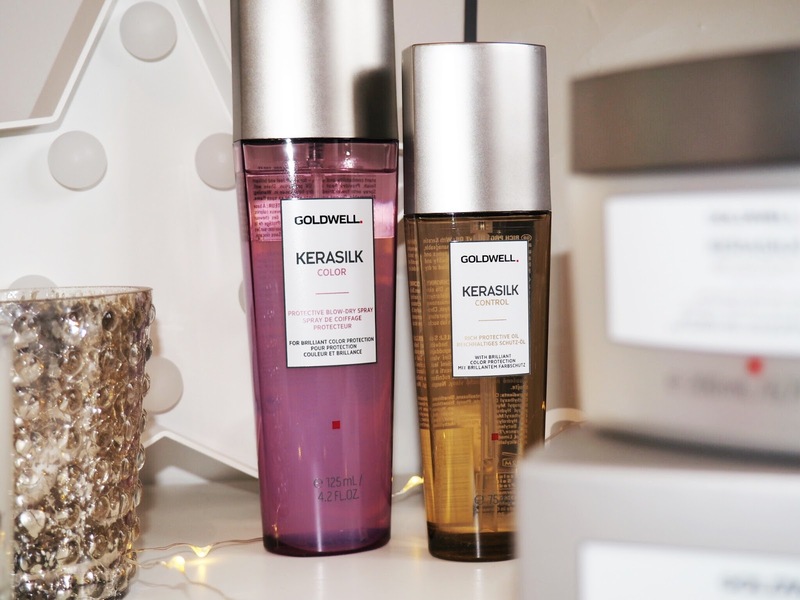 This has a knock on affect when it comes to hair products – if a product that’s remotely heavy, oily or greasy goes anywhere near my hair, then it sticks to my head and looks flatter than flat, lifeless and horrible. It’s an absolute nightmare to find products that do what I need them to do (love my hair back to health) without making me look like a grease ball. 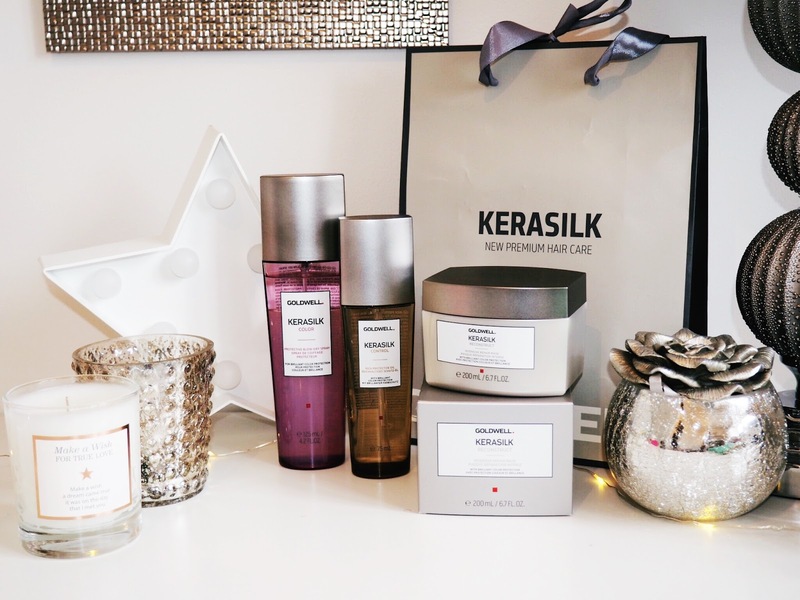 That’s why this summer I am so glad to have started using the Kerasilk products. They are game changers in the life of my hair. The summer can be a nightmare time for our hair and I for one know this only too well. The affects of too much sun makes my hair brighten up beautifully…before it goes an allover warm shade which just ignores the beautiful highlights and lowlights that my hairdresser has strategically placed. It also makes my hair flatter and in the wonderful humidity we find in just about every holiday destination country, then we have the added joy of humidity making our hair turn into a ball of frizz. One hair product that every woman needs on her dressing table is a good protective blow dry spray. There’s so much damage to be done to our hair just being out and about – from pollution to UV rays. This gentle smelling spray is the perfect blow dry protection because it’s light – hurray! It doesn’t weigh down the hair but still manages to fight colour fade – which is one of my biggest problems in the summer. This spray is great for protection and it’s super easy to use – just a generous spritz over the hair before you blow dry (and I like to add a bit more to the ends after drying but before straightening too) and you’ll be adding a protective armour to your tresses. And it’s also a great little styling spray, which is great for helping the hair fall perfectly and sit nicely as it helps retain the shape of your blow dry. Big warning bells went off when I saw this – it’s an oil! Shock horror for those of us with fine hair. 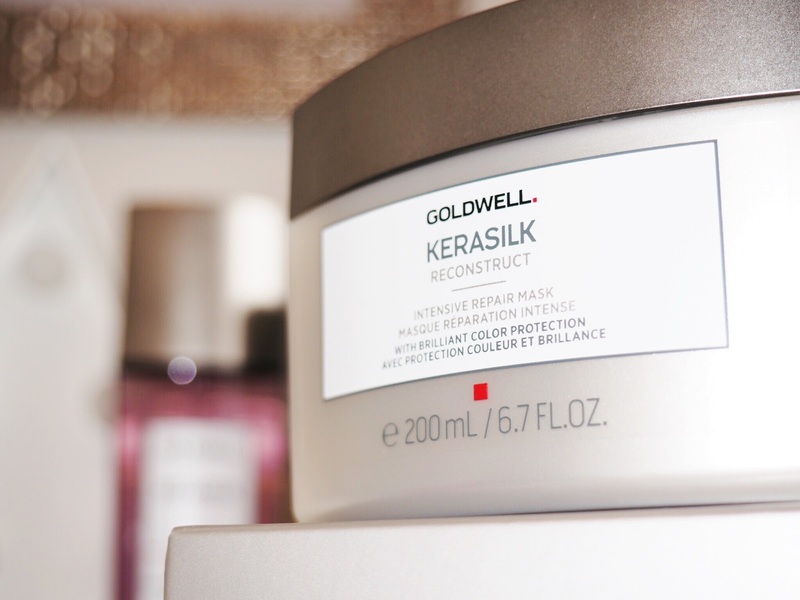 But this stuff is amazing for taming my flyaway strands and keeping things looking smooth and slick – without the weight pulling my hair down and looking flat and lifeless. When I head off on holiday this summer, I’m going to be swearing by this because the humidity will mean I need something to stop my hair resembling that of a poodle. The science behind this product is that when soothed into the hair it seals the hair cuticles which prevents the frizz even happening. I only need a tiny amount of this and my hair looks sleek and tame, so it’s great value for money for those of us with thin hair as it will last for ages If you’re going abroad to a country with summer humidity then you’re going to need this in your suitcase. This is amazing! It’s like a facial but for my hair! I pamper every other part of my body – but rarely my hair. This has changed that for me – mostly because I love the smell of this repair mask. Seriously though, this is a hair game-changer. I’ve used this every 10-14 days for a while now and the ends of my hair are looking healthier than ever before. 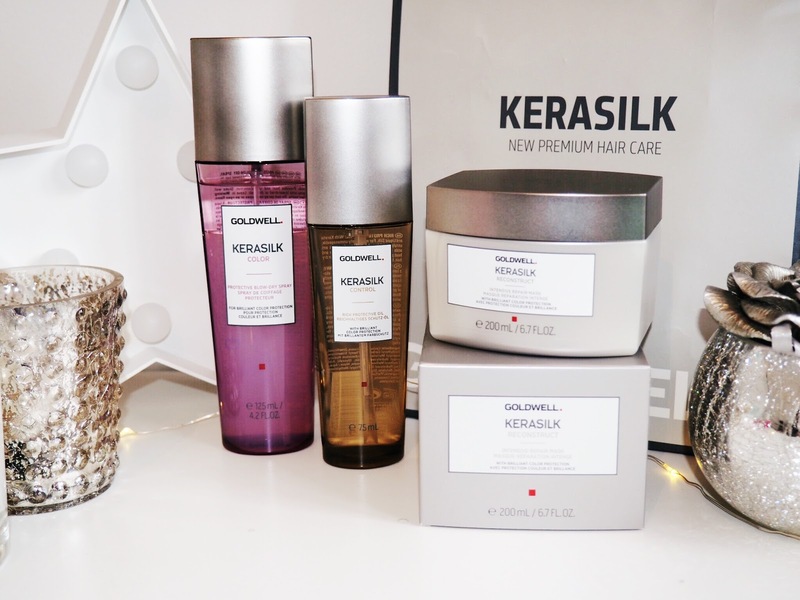 It repairs dry and split ends and leaves your hair looking and feeling nourished. I have major hair bounce after using this and again, there is zero heaviness in the product at all making it great for people with fine hair. My friend has really thick hair – insanely thick and she found it worked fantastically on hers too. The guys at Kerasilk recommend that you use this in place of your normal conditioner when you’re on holiday and I would second that – remove the damage that a day of sunbathing and swimming in chlorine or salt water can cause, just by using this one product. So, these are my summer picks for avoiding bad holiday hair. 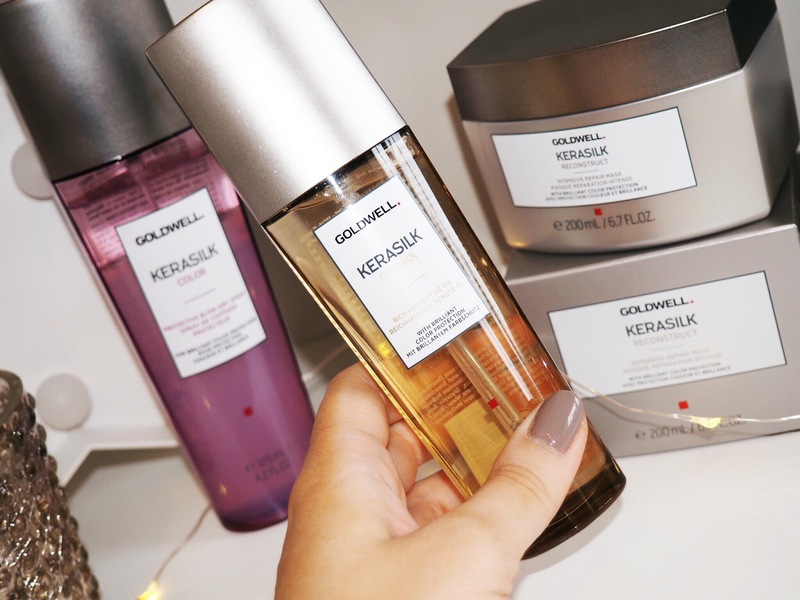 Considering Kerasilk are stocked in Goldwell Salons across the country, I don’t know why I hadn’t invested in trying these before. Salon brands offer the best quality and these don’t disappoint at all. You can buy them in Goodwill Salons across the UK.